BILLINGS, Mont. (AP) — Montana officials singled out a mining company president as an industry “bad actor” on Tuesday, and said the company could have to reimburse taxpayers more than $35 million for past pollution cleanups if it wants to pursue two new mines in the state. Hecla Mining Inc. and its president, Phillips Baker, Jr., who’s also chairman of the National Mining Association, were deemed in violation of a law that targets individuals and companies that abandon polluted sites. The alleged violations were first reported by The Associated Press. A Hecla executive said the company intends to challenge the allegations. Baker, who’s been a director at Hecla since 2001, was an executive for Pegasus Gold Corp., which went bankrupt in 1998 and left government agencies with a massive cleanup bill at its Montana mines, Montana Department of Environmental Quality Director Tom Livers told AP. The Pegasus mines polluted surrounding waterways with cyanide, arsenic and other contaminants, prompting water treatment measures that may need to continue into perpetuity. If the company doesn’t want to pay for the Pegasus cleanups or otherwise resolve the violations, Hecla could have its mining permits and licenses suspended, Livers wrote in a violation letter to the company. The Coeur d’Alene-based company is pursuing development of two large silver and copper mines in northwest Montana that would employ about 300 workers each. They would be constructed beneath the Cabinet Mountains Wilderness, an area of remote, glaciated peaks and valleys that take their name from the area’s box-like rock formations. At the most polluted of the Pegasus sites, the Zortman-Landusky gold mine in north-central Montana, the state has spent $32 million on cleanup work and continues to spend more than $2 million annually to treat contaminated water flowing from the site, state officials said. Montana’s bad actor law, first passed in 1989, blocks individuals and companies who don’t clean or pay for the cleanup of old mines from starting new ones. Hecla Vice President Luke Russell said the company had no direct relation with Pegasus. Two Hecla subsidiaries, not Baker, were the applicants for the Montana projects, he said. A coalition of environmental groups since October has been pressing Livers’ agency to enforce the bad actor law against Hecla. Bonnie Gestring with Earthworks, one of the groups involved in the effort, said Tuesday’s action was a “victory” for Montana taxpayers. “It says loud and clear that mining companies don’t get to pocket Montana’s riches while the public is left with the costs,” she said. Hecla and Baker were given 30 days to declare their intention to resolve the matter. Alternatively, the company would have to prove Baker and any entity under his direction will not conduct mining or exploration activities in the state, according to the violation notice. Livers acknowledged in an interview that Hecla has a reputation as a responsible company with its cleanup work elsewhere. That includes another former mining site in northwest Montana, the Troy Mine, which closed in 2015. The bad actor law has only been enforced once before, in 2008, in a case that did not involve a major project like the ones Hecla is pursuing at the Rock Creek Mine near Noxon and the Montanore Mine near Libby, state officials said. Federal agencies have spent more than $17 million at Zortman Landusky, but there’s no requirement under Montana’s law for that money to be paid back. To date the total bill for the site’s cleanup is almost $76 million, Livers said, including $47 million covered by reclamation and water treatment bonds posted by Pegasus. 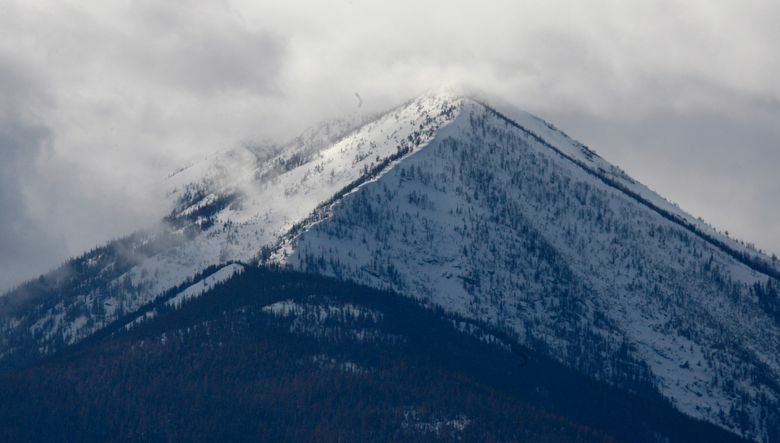 The state also spent several million dollars on work at Pegasus’ Beal Mountain mine near Anaconda, said Department of Environmental Quality spokeswoman Kristi Ponozzo. That site has been turned over to the U.S. Forest Service, which has estimated additional cleanup costs of more than $40 million. Details were not immediately available for cleanup costs at a third Pegasus mine — the Basin Creek Mine north of Basin.